Ride the Free Trolley Downtown! Catch it along Front St.
Fifth and Greenfield and then loop around to Front again. to vote for a name from the final three entries during May. 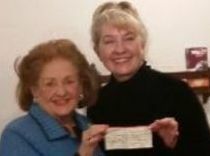 Residents of Old Wilmington is a non-profit, all-volunteer organization that advocates the preservation, improvement and beautification of Wilmington's historic downtown neighborhoods, informs members of issues that affect the quality of life and promotes social connections. The ROW Neighborhood covers the area from Queen St. to Red Cross St. and from 8th St. to the Cape Fear River. 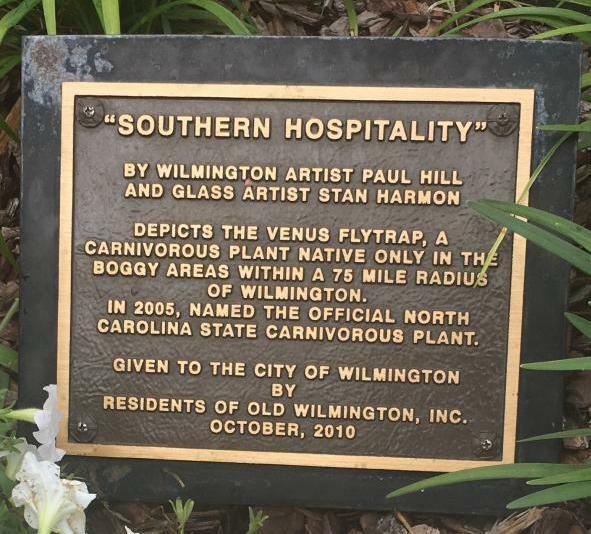 ROW supports the City’s vision to restore and retain the historical integrity of all buildings throughout the entire Wilmington historical area and the downtown business district. Learn more about ROW by reading the news articles below. We welcome all residents who live in the ROW Neighborhood and share ROW's vision to become a member. To join ROW, click on Become a Member or Friend under the Welcome heading on the left above. The 13th Annual ROW Back Door Kitchen Tour that was canceled due to Hurricane Florence in 2018 will be held October 12, 2019. Look for more details in later summer. 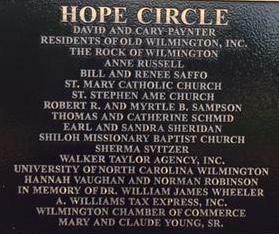 The Back Door Kitchen Tour is the only fund raiser sponsored by Residents of Old Wilmington. Proceeds go back into our community for beautification, preservation, restoration, and other improvements through ROW projects and community-based grants. 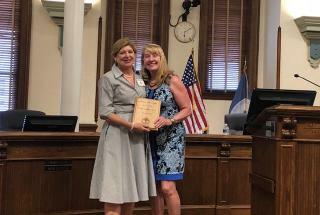 Sylvia Kochler (on the left above), was presented the 2018 ROW Good Neighbor Award by ROW Mayor Phoebe Bragg. Sylvia has served as Chair of the Back Door Kitchen Tour and two terms as Mayor. 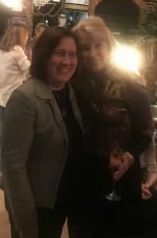 She was the creator of and continues to be the driving force behind the annual Holly Jolly Days. 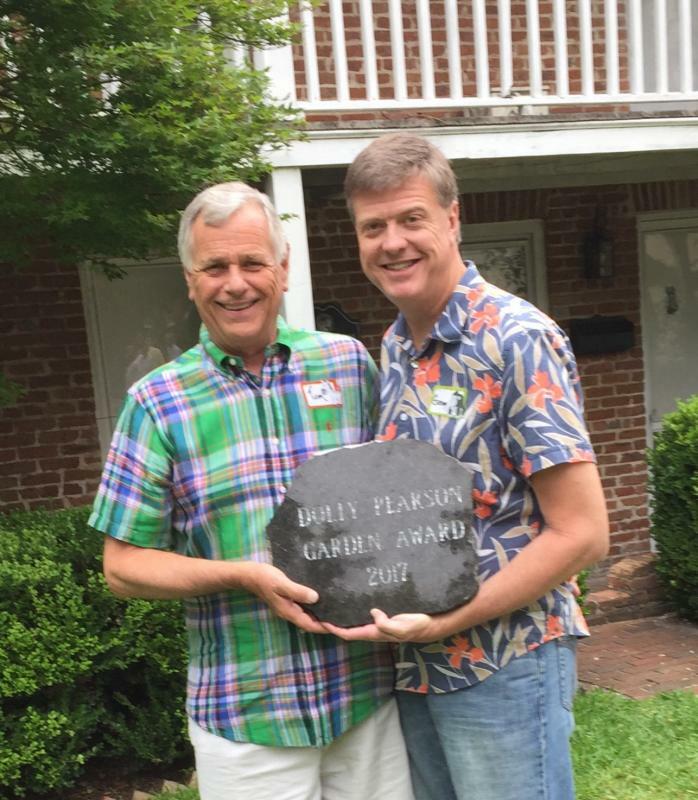 Gregg Thomas and Tom Faust were the recipients of the 2017-18 Dolly Pearson Garden Award. They set a high standard of neighborhood beauty in their yard and plant-filled porch at the corner of Front and Church Streets.